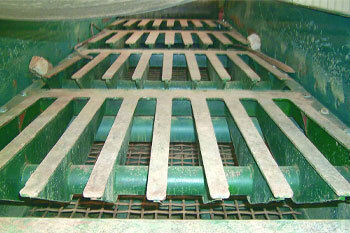 The grizzly screen is the primary impact screen of a conventional screening plant, which sits above the hopper. Although a grizzly screen can sometimes be a heavy duty woven screen, or punch plate — the term grizzly dates back to the 1800’s, where grizzly bars became the standard method to remove unwanted minerals in the coal mines. The term grizzly dates back to the 1800’s, where grizzly bars became the standard method to remove unwanted minerals in the coal mines. The two most common steels used in grizzly bars, are cast Manganese or alloyed steel (such as Samscreen Inc’s exclusive Maxwear™ 400 steel). 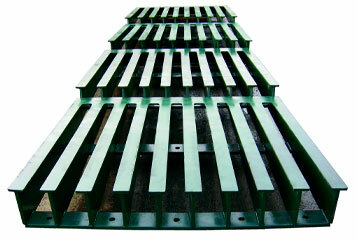 The most basic form of a hopper and grizzly screen is the gravitational feed unit with grizzly bars mounted over the top. Because there is no vibrating motion in this design, the deck relies on the slope of the impact surface as well as the gravitational pull of the material to catapult it forward. Due to the inexpensive design and low operating costs, these units can still be seen at quarries and sand and gravel producers everywhere. The drawbacks of this design are the limited action, slow production and sizing inaccuracy. These units are also common as a self contained screening plant. Vibrating Grizzly feeders add a secondary sizing screen, as well as an eccentric shaft. 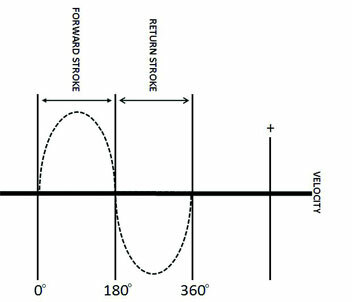 The motion dynamic generated by the rotation of eccentric shafts creates a constant change in velocity and direction of the screening surface. This creates a shuffling effect in the material bed that promotes stratification and screening. Although most conventional screening plants come equipped with a vibrating grizzly before the initial conveyor, these units are also common as a self contained screening plant. Almost every equipment manufacturer in the world offers a version of this design. 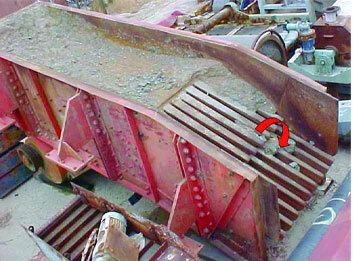 The most common wear surfaces found on the initial area of these units are Grizzly bars. These are generally mounted above the hopper individually or in their own framework. The non-tapered grizzly bars, are solid and durable. Other benefits include the ease of replacement and inexpensive maintenance. There are few drawbacks to this design as well — the linear surface doesn’t promote a good deal of movement to the material, apart from the motion transference of the shaft and the gravitational pull of the objects being screened. Because of this factor, many designs have incorporated a step deck with a tapered bar. This generates additional movement in two primary ways: Initially, the gradual slope in the opening encourages material to tumble forward. By having a step in the plane, material will cascade from one section to the next, and this transference will separate the fines from larger rock. 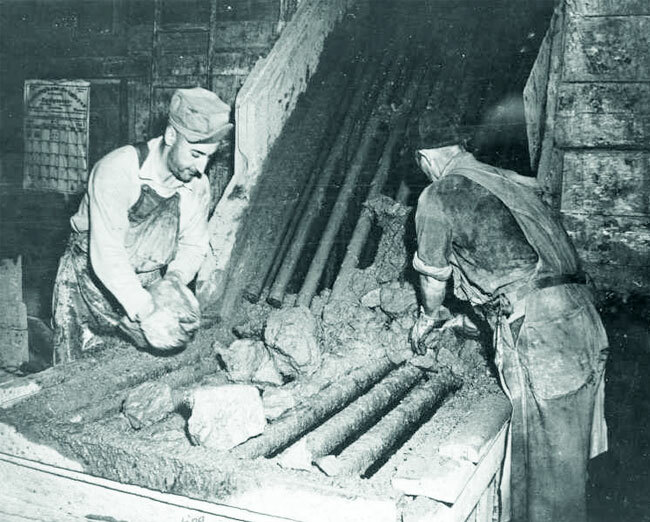 In a common application, where an end user was scalping large blast rock to a 4-inch finished product, they had large ‘slabby’ pieces mixed with fines created from the blast. In their current grizzly feeder, they had grizzly bars on a single plane. The problems they experienced were smaller particles of rock riding along the larger slabs. This phenomenon is called “piggy backing.” These smaller stones and jagged particles would travel into the jaw chamber, causing uneven wear to the jaws and decreased productivity. By switching to a step deck design, the large pieces would tip or roll over after the 4” drop, thereby knocking the fines off the top of the material — successfully removing them from the feed. Grizzly scalpers are not only used to remove larger rock and boulders from screening operations — but can also remove smaller fines that would hinder a crushing operation. Several of the newer screening plants hitting the market today, no longer come with a hopper to take the initial impact and filter out over-sized stone, these screening plants, which are known as “direct feed” units — dump excavated soil, pre-crushed rock and other materials directly onto the first deck. When a heavy duty grizzly is needed for these types of units, Samscreen’s grizzly scalper deck offers all of these great benefits with a tapered, step deck configuration and because of the modular design, our grizzly scalper deck can be equipped in a wide variety of applications. Samscreen Inc.’s Grizzly Scalper deck offers all the advantages covered above and can be custom manufactured to suit any brand of screener or crusher on the market within one week. Our solid steel grizzly bars are constructed out of Maxwear™400 steel — specially alloyed for high impact and abrasion wear. The openings are available between 2 and 8-inch and Samscreen’s technical staff can design a system that can be installed in any set up required. To comment on this story or for additional details click on the related button above.